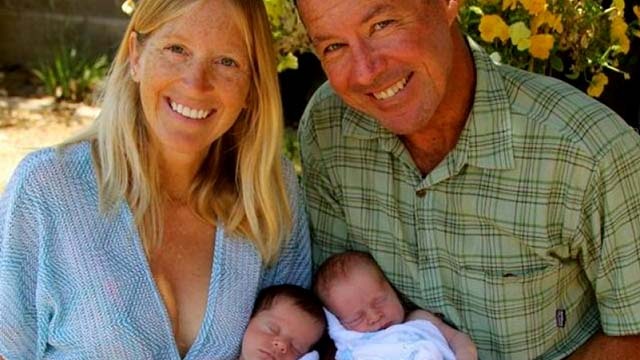 An autopsy confirmed drowning as the cause of death of a Coronado surfing coach during an early morning outing in the ocean off Sunset Cliffs last week, authorities reported Monday. GoFundMe page included photo of Stan and Jan Searfus with their twins Josh and Jake. Stan Searfus, 56, went missing about 45 minutes before sunrise Friday while surfing 3- to 4-foot breakers with a friend near Point Loma Nazarene University, according to the county Medical Examiner’s Office. Police, lifeguards, firefighters and U.S. Coast Guard crews searched for Searfus along the coastline, on boats and aboard helicopters for about an hour before finding him floating face-down in the water, not far from shore. Paramedics performed CPR on him for more than 30 minutes before pronouncing him dead. Contributing conditions in the death of the father of six were atherosclerotic and hypertensive cardiovascular disease, the medical examiner reported. Searfus worked as a surfing coach at Coronado High School and Coronado Middle School, served as a lifeguard in the small peninsula city on San Diego Bay and founded Blue Wave Coronado Surf Camp. As of 4 p.m. Monday, a GoFundMe page said $150,000 had been raised toward a $200,000 memorial fund goal. “Stan Searfus … leaves behind his beautiful family to include wife Jan and children Hank, Oskar, Clark, Berkeley, and young twins Jake and Josh; all of whom he loved dearly,” said the page.